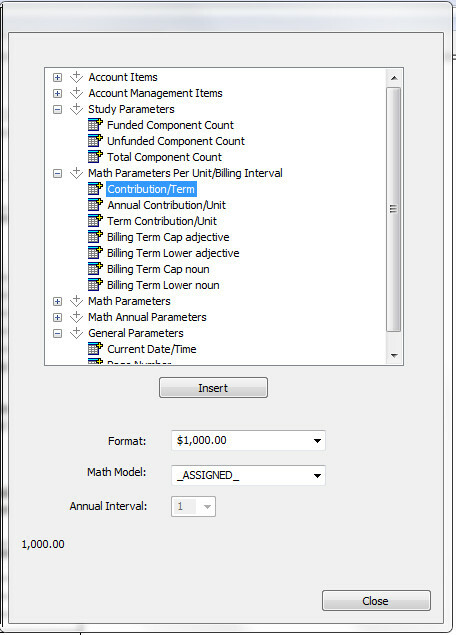 This year we matured a feature that allows you to create a word document and fill in field from the study. This greatly reduces the amount of time spent on composing documents for the study. You can use just boiler plate documents that just render at print time. But because the document can be owned by a particular study, you can also edit the document for specialized cases. For instance, the state of California requires a discloser with several dozen fields. To fill this in by hand is quite a task. And then if you change something in the study that affects the math, you would have to go in and re-enter many of the fields. With a tagged document, the fields are all updated at print time with the current results of the math, just like the charts. If you have entered specialized text, it is not affected. Here is a small part of the California discloser as an example. If you have used Microsoft's mail merge, you know what a time saver that is compared to specializing each of several like documents. The tag editor makes creating new documents a breeze. You simply select the study parameter you would like, how to format it, and it will be inserted into the document where your cursor is positioned.